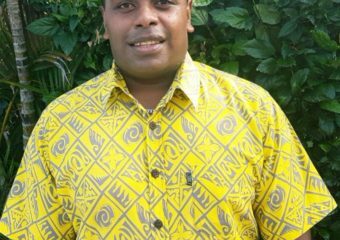 SeaFiji operates on demand, fast and convenient boat transfer service to the Mamanucas and Yasawa Island Groups from Port Denarau. Private Transfer For guest requesting their own Private Transfer, simply request SeaFiji Private at the time of booking, this ensures that there is no combing and exclusive private use of SeaFiji vessels. SeaFiji Inter Island Transfer means connections between all Mamanuca Island Resort Properties are available 24/7. FastBoat connections and transfers from Mamanuca properties with Blue Lagoon Cruises. Your SeaFiji Team, your captain and crew of Seafiji are fully trained and qualified Marine Professionals. Our vessels are fast, comfortable, fully licensed, purpose built craft powered by the latest technology engines. SeaFiji specializes in full or half day charters in and around the Mamanuca’s and Lower Yasawa Islands. These can be purely fishing trips or combined with Island visits and snorkelling. 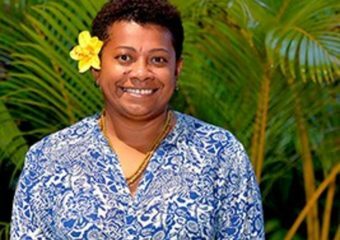 Sea Fiji is happy to announce the appointment of Ms Kini Saukuru as it’s GLOBAL Head of Sales, Marketing and Product Development this week. 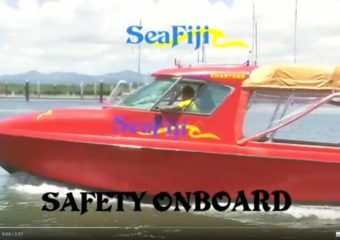 Safety Video Entertaining way to brief our passengers and keep everyone safe onboard SeaFiji transfers. Welcome on board SeaFiji, your ride to paradise.